In 1976, NASA's Viking landing probes reached Mars to answer one of the most important questions of humanity: "Is there a life on the Red Planet?" Gilbert Levin was the lead investigator of the Viking's Labeled Release (LR) life experiment. According to FoxNews, the tool has got a positive response in both mating sites. But researchers have not reached a consensus on the accuracy of the results. In 1977, Levin concluded that the experiment had found life on Mars. Currently, more than 40 years after the Viking probes, Levin believes that NASA has failed to handle the results of Viking. "I'm sure NASA knows the existence of life on Mars," he said in July. The man forced the review of the data provided by Viking LR. Over the course of the 40 years, several probes and rovers would have collected information about life on Mars, says Levin. There are "subtle evidence of microbial life on the Red Planet," he said. 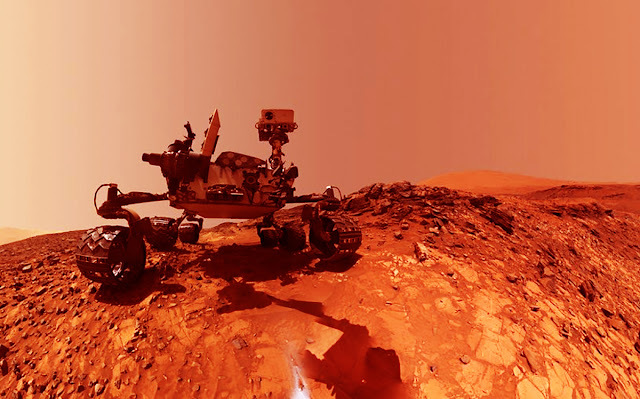 As an example, Levin said that NASA's Curiosity rover has discovered increases in methane, cyclic levels. More than 90% of the methane in the Earth's atmosphere is generated by microbes and organisms. But the chemical interaction between water and rocks can produce methane, so it can not be considered a clear evidence of life on Mars, scientists say. Curiosity also discovered organic molecules in rock sediments, 3 billion years old. In July 2018, the Mars Express mission led by the European Space Agency provided information on the existence of an underground lake at the southern pole of the planet. Several probes have found water on Mars, Levin said, "water is no longer a problem." Levin added that the images provided by Curiosity could depict stromatolites, structures built by microbes on Earth. Everything I learned about sedimentary rocks on Mars, says Levin, shows that the earth's microorganisms can survive, including powerful radiation, low pressure or low temperatures. One of the veterans of the Viking mission, currently a researcher at the Space Science Institute in Boulder, Colorado, says "it is time to seriously treat the search for life on Mars." Clark developed a tool that measures the composition of Martian soil. "As far as we know from the Viking mission, Mars is more suitable for the development of life than we previously thought. But astrobiologist Dirk Schulze-Makuch said that any statement about life on Mars requires a great deal of evidence to be supported.